DGN online leant that the St. Charles Seminary Senior High School in Tamale, the Northern Regional Capital, has been shut down temporarily by the Ghana Education Service (GES). It follows a fire outbreak at the School on Monday, March 25. The Northern Regional Education Director, Alhaji Mohammed Haroun , who confirmed the closure to DGN Online, said the first and second year students have been asked to go home for two weeks. According to him, the third year students will stay back on campus to prepare for their exams. The Education Director said when schools go on their normal break , the third year students from St. Charles will be given additional two weeks to make up for the contact hours lost during the fire outbreak. He has appealed to government, individuals and organizations to come to the aid of St. Charles Seminary Senior High School. 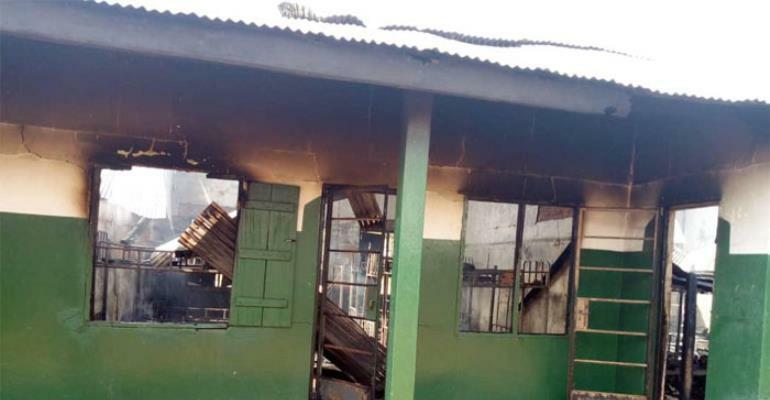 On Monday , 25th March, 2019, the Cardinal Dery House went up in flames while students were studying in their classrooms. The Divisional Officer of the Ghana National Fire Service, Emmanuel Ofori, told DGN Online that investigations are underway to ascertain the actual cause of the fire. Meanwhile, the Northern Regional Minister, Salifu Saeed has advised students to remain calm, collaborate with teachers and management to find a lasting solution to the fire outbreak. He said fire outbreaks in the school have become one too many and should not be allowed to continue.